Cobra, South Africa’s go-to brand for high-quality kitchen and bathroom fittings and accessories, has introduced the Capstan and Victoriana ranges as part of the upmarket yet affordable ‘Elegance Collection’. These ranges offer a contemporary take on the classic designs of traditional taps, showerheads, mixers and other accessories and are sure to enhance the look and feel of the sophisticated home. The Capstan range offers a fresh take on the bathroom and kitchen products that loyal Cobra customers have come to know and love, featuring a bespoke nautical design that fits seamlessly into any spac. While Victoriana, inspired by the grandeur and luxury of the 19th century, is a classic collection of taps and accessories that exudes old-world charm and romance. Some of the enhancements include sturdier handles fitted to the elegant exposed bath mixers as well as beautifully designed new spouts included with the 3 hole basin mixers. With the increased demand for the modern eco-friendly home products in South Africa, a wide selection of elements in both ranges are fitted with a six-litre per minute flow restrictor to help users save water without compromising on the stylish design. 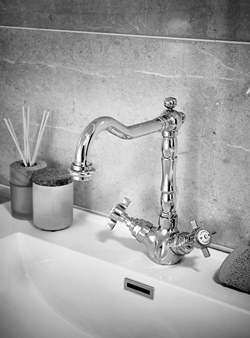 Both ranges include over 25 elegantly designed fittings and accessories, including pillar taps, a bath spout and a variety of mixers for both kitchens and bathrooms. Made from chrome plated, strong DZR brass, the Capstan and Victoriana ranges are a durable and long-lasting addition to the home, and come with a 10-year warranty. The elegant new Capstan and Victoriana ranges will be available from selected stores across South Africa.